Disney has just dropped the first official trailer for Dumbo, their next live action remake. The trailer features the iconic song, Baby Mine, as performed by Norwegian singer- songwriter Aurora. Directed by Tim Burton, the film depicts a baby Dumbo after the death of his mother, being raised not by a little mouse (as in the animated version), but rather a kind circus owner named Max Medici (played by Danny DeVito). Medici enlists help from former circus star Holt Farrier (played by Colin Farrell), as well as his children, Milly (played by Nico Parker) and Joe (played by Finley Hobbins). Following a similar storyline as its animated predecessor, Dumbo the elephant is seen as the laughing stock of the struggling circus until the day he realizes that he can fly. This sparks interest from persuasive entrepreneur V.A. Vandevere (played by Michael Keaton), who has dreams of opening a new entertainment venture, Dreamland, with help from Dumbo and aerial artist Collette Merchant (played by Eva Green). 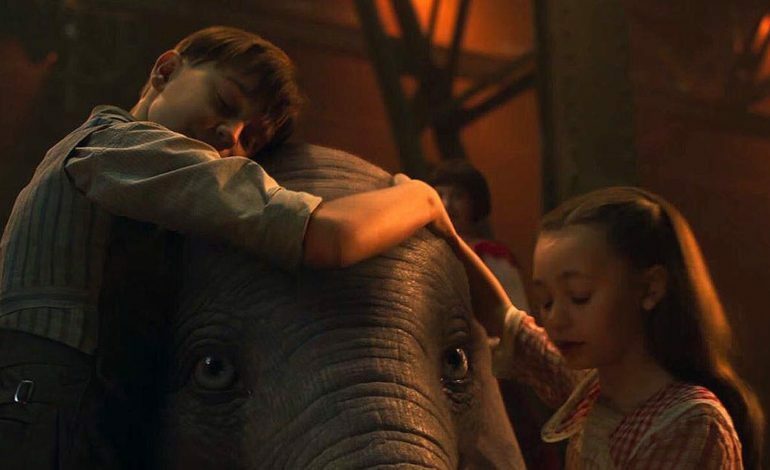 Dumbo is set to come out in theaters March 29, 2019, and you can check out the teaser trailer below.